?S?chool education ?today ?is not limited to the realm of academics alone? and there are number of factors which determine the way education is provided and ?implemented? in schools today ?. In this backdrop, Elets Technomedia invites you to participate in the ?third? edition of digitalLEARNING Top Schools of India Ranking? issue.? The first? and second? issue of digitalLEARNING Top Schools of India Ranking 2013? and 2014?saw schools from across the country participating with full fervour?. 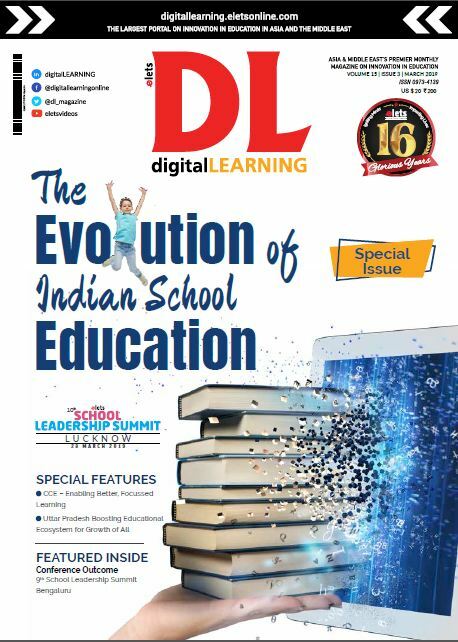 Top school of India issue of digitalLEARNING magazine ranked the schools and the top ranked schools were felicitated at the ‘School Leadership Summit’ ?held ?on 9th Feb, 2014? and 31st Jan 2015? in New Delhi. Moving on to a bigger platform in 201?5?, digitalLEARNING Magazine is in the lookout for the best schools from across the country. The digitalLEARNING “Top Schools of India Ranking Issue” 201?5? highlights the schools that believe in keeping the child at the centre of education and prepares children for the future in terms of education, their well-being, skills and social integration. Highlight your school by filling a simple form free of cost to be part of the Top schools of India ranking. After registering the school details , you shall go to the next page. Download the School Ranking form from the link given on the next page. Fill the downloaded form and send it to – school@digitallearning.in along with the registeration number . The ranking will cover schools from the metros as well as Tier II and Tier III cities across the country. The best ranked schools will be felicitated at the School Leadership Summit in January, 201?6?. This summit will host top Indian schools and educators, providing an excellent platform to network and collaborate. Top school felicitation would provide schools certificates for showcasing their position in state and city among the top schools of India.?? Last date to register and send online form is 15th November 2015. COME BE A PART OF TOP SCHOOLS OF INDIA RANKING ISSUE OF DIGITAL LEARNING MAGAZINE !! ?